Ahead of the announcement about the Iran nuclear deal later today over 100 European political, diplomatic and military leadership figures are appealing to President Trump not to take unilateral action that would jeopardise the deal and trigger a crisis in US-Europe relations. The full statement is reproduced below. Last September participants in the European Leadership Network urged President Trump and the US Congress to stick with the Iran nuclear deal (the Joint Comprehensive Plan of Action – JCPOA) for the sake of US relations with Europe, regional stability and Europe’s security. 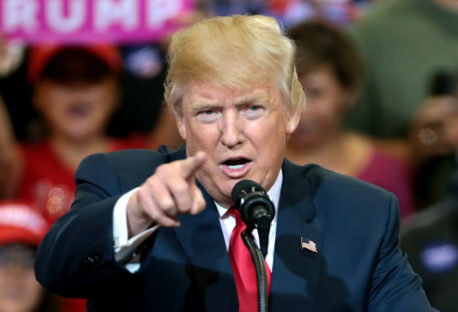 But this January, President Trump made clear that he would not waive US nuclear sanctions again on 12 May without action by European Allies and legislation by the US Congress. European signatories of the JCPOA – France, Germany and the UK – are concluding a package of measures on Iran with the US Administration that President Trump should count as a victory and that gives Congress a basis on which to legislate. 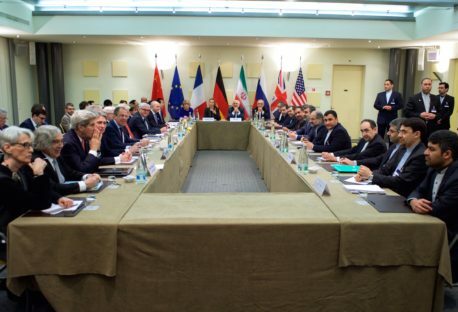 Yet it remains unclear whether the United States will remain in the JCPOA after 12 May, despite an appeal to the US Congress from over 500 French, German and British members of parliament. We support these parliamentarians in the view that US-Europe relations are vital for security in Europe and stability in the region. Those relations, already shaken, would be further damaged by a US failure to meet its commitments under the JCPOA when the Iranians are meeting theirs. Failure to waive US nuclear sanctions on Iran would put the United States in material breach of an agreement that has been endorsed by the international community through the UN Security Council and that is important to the security of Europe. We believe that Europe, Russia and China would continue the deal with Iran, leaving the US isolated and weakened in handling challenges like North Korea. For the United States to withdraw from the JCPOA would be to shoot itself in the foot. Given developments in the Middle East and North Korea, President Trump’s decision is more important than ever. We urge Washington to stay united with European capitals on the Iran nuclear deal.